Fab news, Sisters Staging Fans! Cheri Drake, the “firstborn sister” here. We are So Proud to announce our Staging Partnership with Gold Peach Homes Realty and the resplendent homes of Achasta Golf Resort in Dahlonega, Georgia! 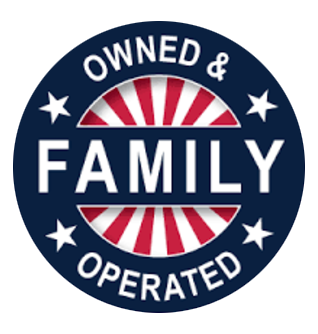 We are now working with the highly accomplished Realtors Nicole Amstutz and Chelsae Pile. Love, Love! 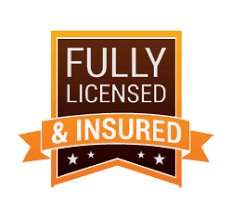 Don’t worry, we still work with ALL real estate companies and homeowners as well! From Athens to Atlanta to East Point – that’s our service area! 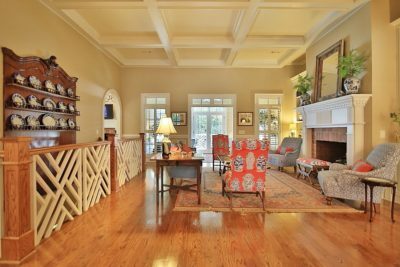 First up on our staging list: the lovely home of Sir Doug. That’s right amazing home gazing peeps… this is the home of an actual British Duke! On the market right now, this house in Achasta backs right up to the woods, (where the deer and an occasional wandering wild turkey or two might be seen). This house is gorgeous on steroids! And get this, Home Staging Lovelies… Sir Doug has an entire office full of Royal Photos! That’s right – Sir Doug with Prince Charles. Sir Doug with an entire host of Dukes and Duchesses. Sir Doug with the Queen of England herself! HRH Elizabeth II!! Tour this house and you’ll see Sir Doug’s Victoria’s Cross, one of the highest military honors awarded! Yep, it’s right there behind the office desk, smack on the wall behind the chair. 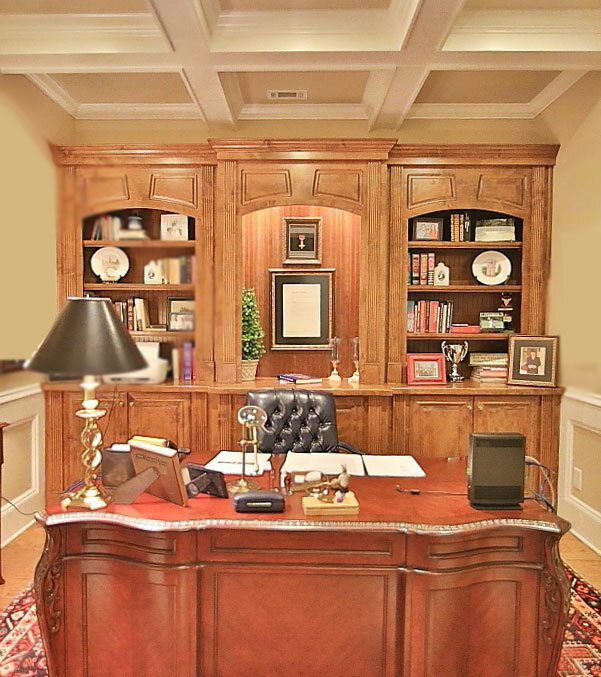 (Check out the photo of Sir Doug’s office on this blog). And this, Dear Realtors and Home Sellers, bring us to our staging conundrum: (Cue Movie Announcer Voice): In a World… Where Sisters Staging preaches “Pack Up the Personal Photos”, do we dare remove the Royal Family and Sir Doug? Surprise! The answer is: Not in This Case. We know. Staging-World Shock! Here’s why we made the call to keep the personal photos in this one case. 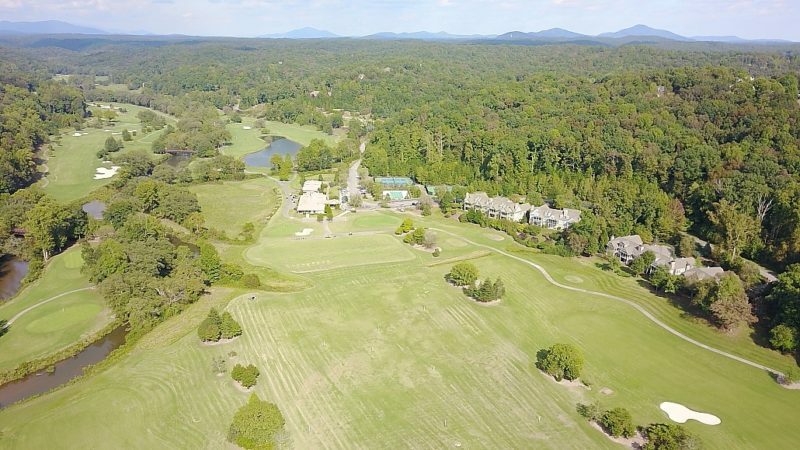 Home buyers in this North Georgia mountain resort area, this golf course community, this price point want something truly special. It’s our job as home stagers to showcase the glam. These buyers will want a home that comes with built-in bragging rights. How better to WOW your guests than with this, “Ah, yes dahling, my home used to belong to a titled member of the British Royal Society”. Hrrmph! We’re saying, that’s hands-down, Downton Abbey, straight-up Bloody Brilliant! So steam up the tea, put out the crumpets and check out the link to Sir Doug’s Royal Digs!